Junk Evolution July First Friday Guest! 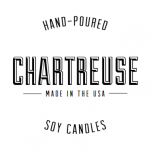 Shop Chartreuse Soy Candles for Mother’s Day and save 15%! Great post on reusing candle jars from Nancy at http://20packsofpaper.wordpress.com. Thanks for sharing! New Chartreuse Product Revealed Soon! Chartreuse will be featured on Muffins & Mocha this weekend!